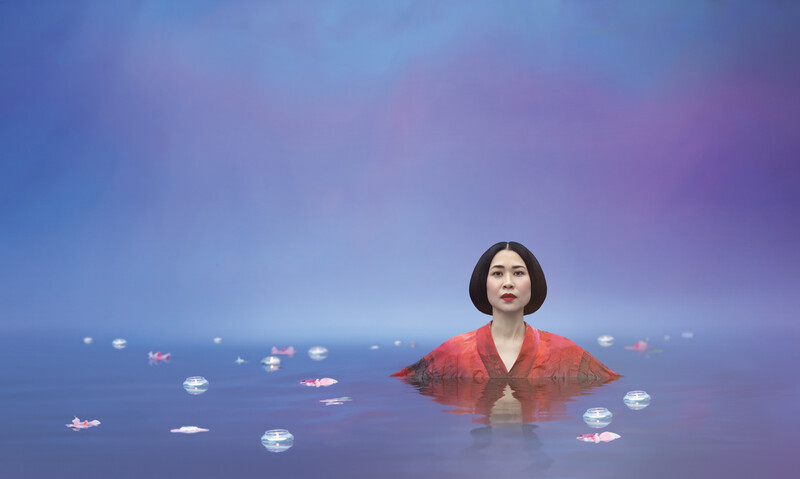 Opera Australia is following up on their recent success in building audiences, with a program of popular masterpieces in their 2015 summer season. Renowned Scottish director, Sir David McVicar, will bring a dramatic intensity from the theatre to his opera work, when directing his celebrated gothic production of Faust, first performed at the Royal Opera House, Covent Garden. La bohème opens at Sydney Opera House on New Year’s Eve, with additional performances in January. Gale Edwards sets Puccini’s emotional music in the streets of 1930s Berlin, amid the colourful chaos of street fairs and burlesque bars, fairylights and fishnet stockings. Hear Metropolitan Opera star Maija Kovalevska sing the role of Mimì. The production will also feature Mexican tenor Diego Torre, as well as local favourites Lorina Gore and Andrew Jones. Conducted by Andrea Molino. Tosca, a gripping drama, tells the story of an ordinary woman in extraordinary circumstances who has found true love in a time of war and secrets, but the powerful Scarpia desires her for his own. John Bell’s spectacular and dramatic telling of Tosca returns to Sydney on 13 January and runs until 17 March. Starring international artists Amanda Echalaz, Riccardo Massi and Claudio Sgura, with Italian Conductor Andrea Battistoni. Madama Butterfly is one of the world’s most famous love stories. A woman capable of great love, a man transfixed by exotic beauty get swept up in Puccini’s rousing music as the opera progresses from love to wonder, to hope and at last despair. Directed by Moffatt Oxenbould and starring international soprano Alexia Voulgaridou and Australian tenor James Egglestone. Conducted by Gianluca Martinenghi, Madama Butterfly opens on 27 January and runs until 18 March. Faust sees two stars of Australian opera making their role debuts in this timeless opera about temptation and redemption. Teddy Tahu Rhodes plays the alluring yet debauched devil, leading the hero astray, while Nicole Car is the embodiment of beauty as the innocent, desirable Marguerite. Conducted by Guillaume Tourniaire, Faust opens on 17 February and runs until March 13. Australia’s leading Spanish chocolate cafe, San Churro, has launched its new summer menu that’s full of refreshing desserts, just right for celebrations during the coming holiday season. Australians love getting out and about during summer and really enjoy socialising over food. 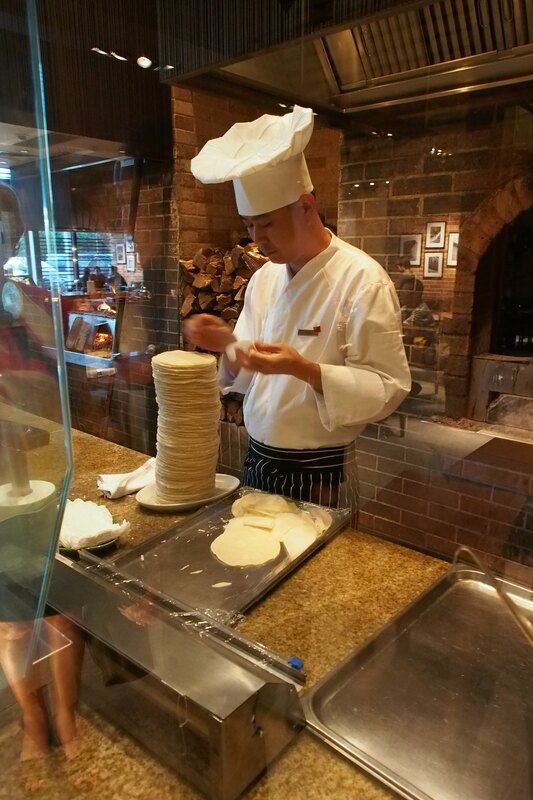 With over 100 delicious menu items, from ice cream sundaes to chocolate shakes and icy cold real fruit smoothies, San Churro has something to suit all palates and preferences. The classics like ice cream sundaes and shakes are what they do best and they have put a creative spin on these traditional summer staples to create an innovative and delicious range of refreshing drinks and light, summery treats. 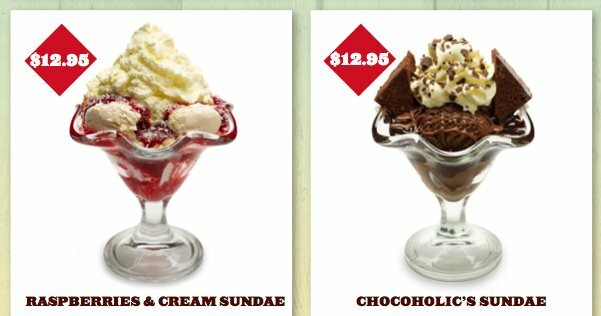 Ice cream sundaes have been given a makeover and now choosing one is a delicious dilemma. The new Chocoholic’s Sundae, made with one whole chocolate brownie, chocolate fudge, melted chocolate and couverture chocolate ice cream is a show-stopper. Their new Raspberries & Cream Sundae was inspired by the Australian Iced Vovo biscuit and is a refreshing combination of white chocolate ice cream, shortbread crumble, raspberry jam coulis, coconut and fluffy pavlova meringue. San Churro’s couverture chocolate shakes are drinkable desserts. Choose from ten flavours including the Peanut Butter Besos, Salted Choc Coconut and the fruity new Raspberry Ripe made with dark chocolate, real raspberries and coconut. They also offer a range of icy cold and refreshing real fruit smoothies and mocktails. Why not try their new Pina Colada Mocktail or a lemon with fresh mint iced tea. Taiwan is growing in popularity as a holiday destination with Australians and fast becoming one of the best destinations in Asia. During the first six months of 2014, there has already been an increase in tourism of 25% over the same time last year. A small island located in East Asia, only 9 hours away from Sydney, Taiwan has much to offer the visitor. It’s a nation with a rich diverse culture, stunning landscapes, exquisite cuisine, night markets and affable locals. As well as being one of the safest destinations in Asia, it’s very accessible with direct flights from both Sydney and Brisbane. “Taiwan – The Heart of Asia”, the country’s new promotional campaign, is highlighting some of the many reasons why Taiwan is so unique, such as their cultural diversity, geography and cuisine, as well as having one of the most modern infrastructures in Asia. Lonely Planet recently nominated Taiwan as the “foodie mecca” of Asia and Taipei has also been voted among the best coffee cities in the world, in a list that includes coffee hubs such as Vienna, Melbourne and Portland, according to USA Today. The only Asian country on the list, the article went on to mention great coffee is part of Taiwan’s national heritage. Taroko Gorge National Park, known as “The Marble Gorge” is one of the sights not to be missed. For the intrepid cyclist, the gorge offers one of the most picturesque mountain bike routes in the world. The famous Sun Moon Lake was also recently voted one of the best cycling routes worldwide due to its phenomenal scenery. 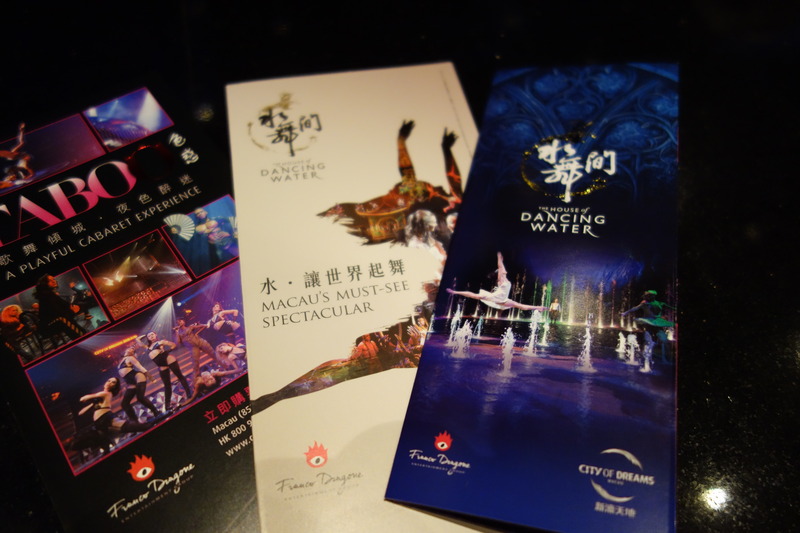 Taiwan also holds a wide array of events and festivals throughout the year attracting visitors from around the globe. Surfing is also being promoted to Australians and the upcoming international surfing event that’s scheduled to be held in November should increase Taiwan’s overall visibility. The event will no doubt show that the oceanic beauty of the Taitung’s coast rivals that of Hawaii, and should help in making Taiwan become a surfing mecca. The Taipei Arts Festival is proving to be a growing hub for international artists and becoming a popular event with a diverse line up including theatre, dance and stand-up comedy. 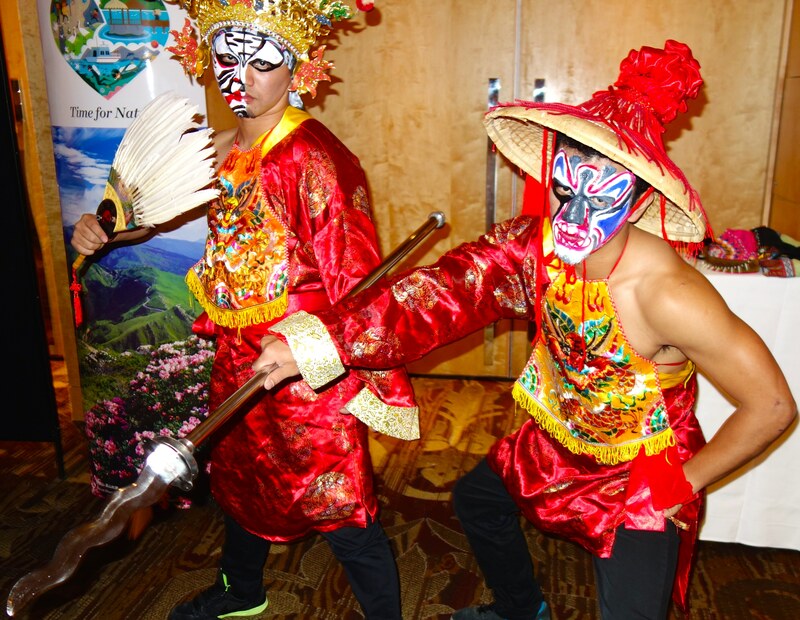 The 2014 Time for Celebration Taiwan Tourism Events Calendar brings together 36 of the most distinctive and popular religious and cultural festivals, sports competitions and innovative crafts activities. Highlights for Australian visitors are the surfing competition in Taitung during November, the New Year’s Eve celebrations and the Taiwan Lantern Festival in February. 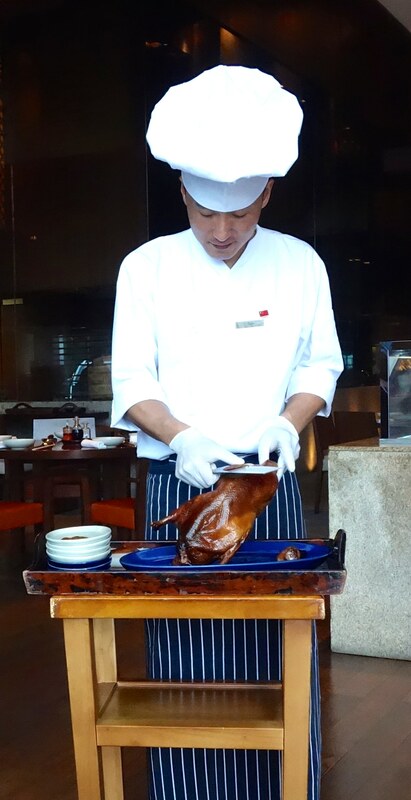 Taiwan is the perfect choice for those seeking a new destination. 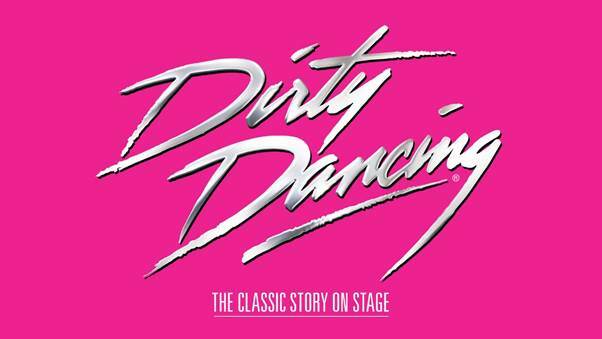 A decade after its World Premiere, Dirty Dancing will make a welcome return to Sydney on 28 November 2014, playing at the Sydney Lyric Theatre, The Star. It’s the summer of 1963 and 17 year old Frances “Baby” Houseman is about to learn some major lessons in life as well as a thing or two about dancing. On holiday in New York’s Catskill Mountains with her older sister and parents, Baby shows little interest in the resort activities and instead discovers her own entertainment when she stumbles upon the staff quarters where an all night dance party is in full swing. Mesmerised by the raunchy dance moves and the pounding rhythms, Baby can’t wait to be part of the scene, especially when she catches sight of Johnny Castle, the resort’s dance instructor. Baby’s life is about to change forever as she is thrown in at the deep end as Johnny’s leading lady, both on stage and off, with breathtaking consequences. Featuring hit songs including Hungry Eyes, Hey! Baby, Do You Love Me? and the iconic (I’ve Had) The Time Of My Life, Dirty Dancing has become one of the most popular musical productions of all time. A fast-paced comedy about love, loneliness, food and friendship is Darlinghurst Theatre Company’s final play in their inaugural season. Opening on 4 November at Eternity Playhouse, Daylight Saving, is an Australian romantic comedy set in the late 1980s. Felicity has it all – a successful Sydney restaurant, a home with water views and a handsome, successful husband. With the sudden visit by an old flame, infidelity could be on the cards. Felicity’s plans for a candle-lit reunion go awry when a string of unexpected visitors drop by. Written by Australian playwright Nick Enright and directed by renowned theatre director Adam Cook, the stellar cast is led by Australian actress Rachel Gordon and multi award winning actor Christopher Stollery as husband and wife, Felicity and Tom. Playing the role of Josh, an American professor of history and Felicity’s old high school flame, is the charming Ian Stenlake. Veteran stage and screen star Belinda Giblin will play the role of Bunty, Felicity’s loud, opinionated mother. Helpmann Award winner Helen Dallimore performs the role of Felicity’s intrusive and clueless neighbour Stephanie and Jacob Warner plays Jason, the famous tennis player managed by Tom. In honour of the late Nick Enright, the Enright family is supporting Darlinghurst Theatre Company to produce three plays by the renowned Australian playwright, including Daylight Saving in 2014, as well as two other works in 2015 and 2016. To kick off daylight saving and let you sleep in longer on 5 October, the Blak Markets at Bare Island, La Perouse will open their doors at 10.30am. They are also going through to 5pm so you can enjoy the longer days and twilight from this amazing island fort in Botany Bay – Kamay National Park. 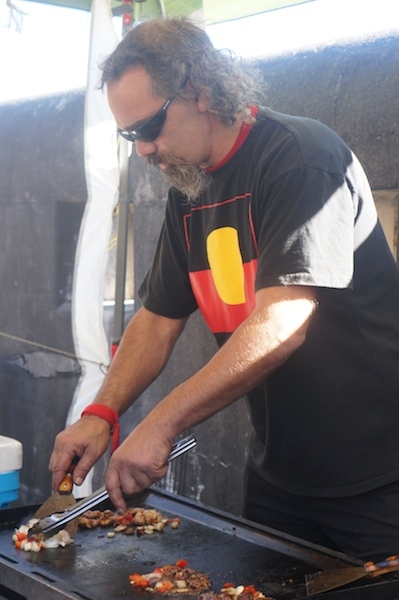 The proceeds from these markets will go towards running the community program “Seeds to Success”, an Indigenous leadership and public speaking program that involves Aboriginal students attending school working with Aboriginal role models and community elders to develop leadership and public speaking skills. Entry price onto Bare Island, which is usually only open for tours, is $2, with children under 5 free. You are currently browsing the SANDRATBLOG.COM blog archives for September, 2014.